PRP's STEEL frame Wildcat doors are durable and resist bending and tweaking more than aluminum. 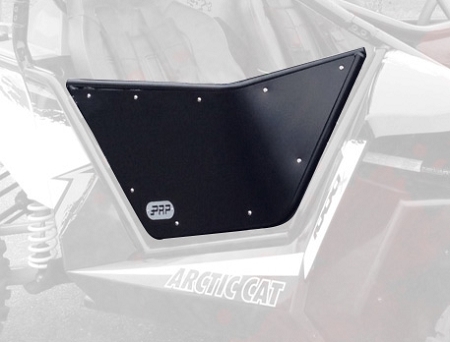 PRP's Wildcat Doors feature a sturdy steel frame and aluminum door skins.These fit all years of the 2-seat Wildcat. Standard black powder-coating.